There are so many examples of symmetry in nature, from the perfectly matched halves of a leaf down to the tiny perfectly symmetrical snowflake. One example that I find most beautiful is the butterfly. It was the perfect subject to use in this simple art project. Not only did we explore symmetry, but we also explored the concept of warm and cool colors. 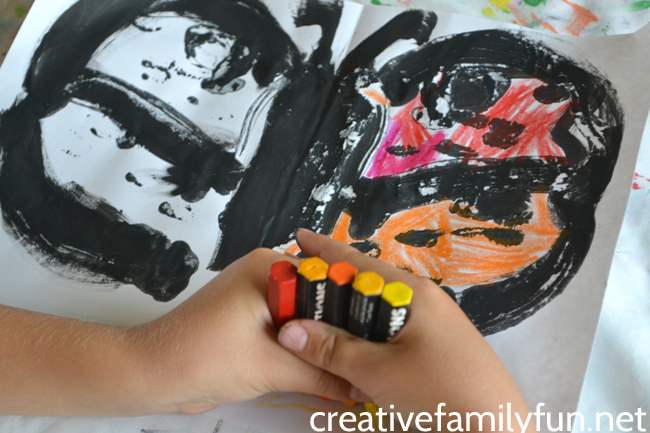 Keep reading to find out how we made our Butterfly Symmetry Art with Warm and Cool Colors. To prep this project, all you need to do is fold your white piece of paper in half. The first part of this project is all about symmetry. Using only one half of your paper, paint half of a butterfly. Do it quickly and don’t get too fancy. You don’t want your paint to start drying. 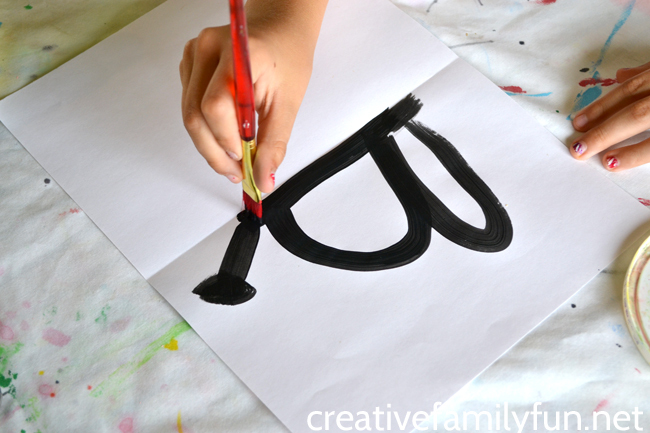 A simple way to start is to paint a thick black line next to your folded crease. Add one antennae coming from the top and then your wings. You don’t need to add too much detail at this point. You just want a simple butterfly shape. Keep your paint thick – thicker than you normally would paint. As soon as your butterfly half is done, refold your paper. Press the two sides together for at least a minute. Unfold your paper and you’ll have a full butterfly! 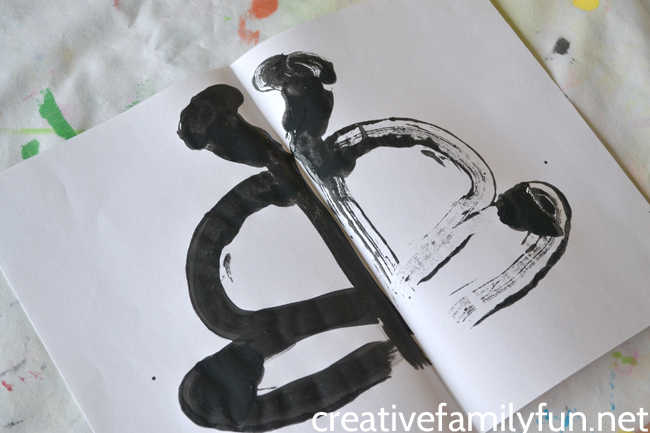 My girls used the black paint to trace over some of their lines. They wanted thick black lines on each side. You can do as they did or leave one side lighter than the other. 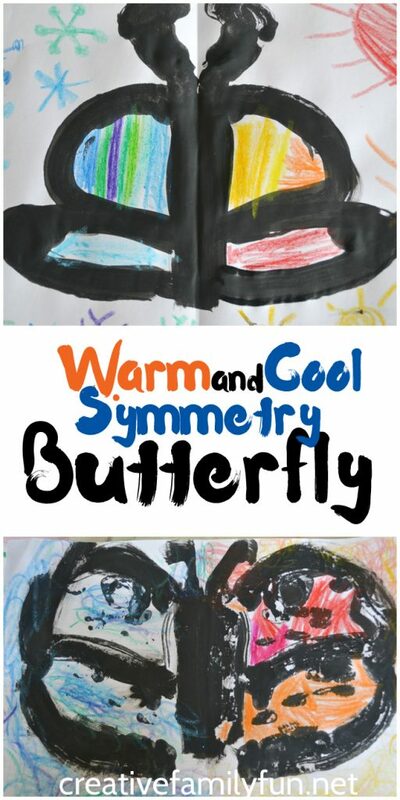 The next part of this butterfly symmetry art is all about warm and cool colors. 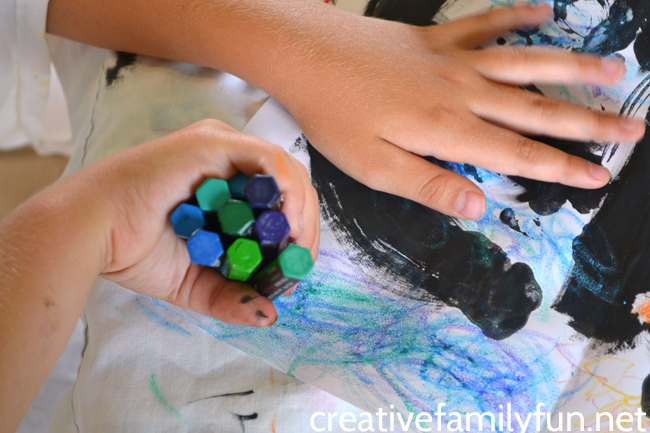 Have your kids learned the concept of warm and cool colors yet? Basically, you split your color wheel in half. The hemisphere with orange, yellow, and red are your warm colors and the hemisphere with purple, blue, and green are your cool colors. For this project, we’re going to color half of our butterfly symmetry art with warm colors and the other half with cool colors. There’s no right or wrong way to do this part of the project. You can get detailed like my oldest daughter who included snowflakes in the background of the cool half and suns in the background of the warm half. Or, you can do like my youngest daughter who took a handful of each grouping of colors and combined all the colors together. Add details to the butterfly wings. Use solid colors, stripes, or checks. Don’t forget, you can always color the back ground! 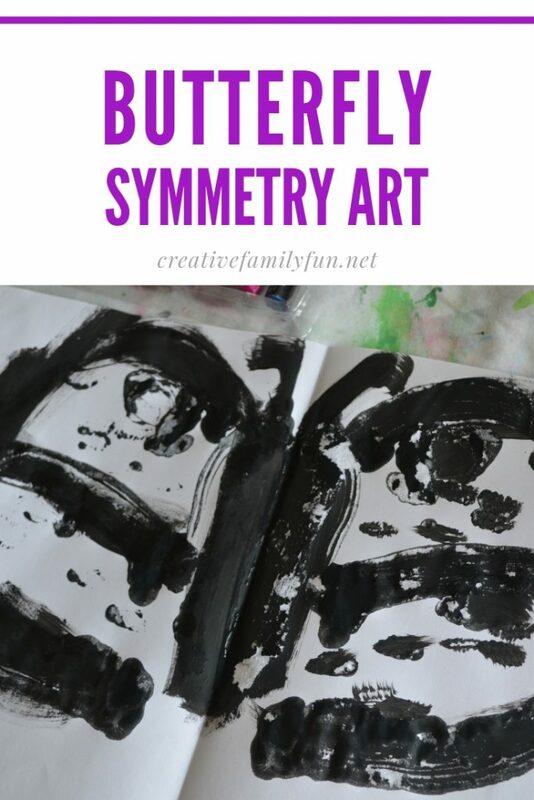 This butterfly symmetry art is a fun and easy art project to do at home to reinforce a couple of different concepts: symmetry and warm/cool colors.